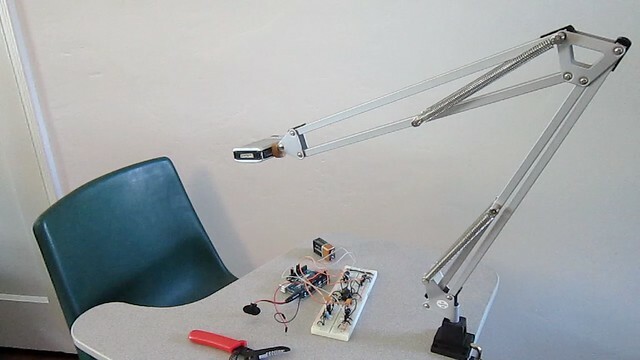 The Articulating Camera Mount is an easy Ikea hack and amazing tool for the amateur desktop photographer. It allows for overhead and hands-free shots. 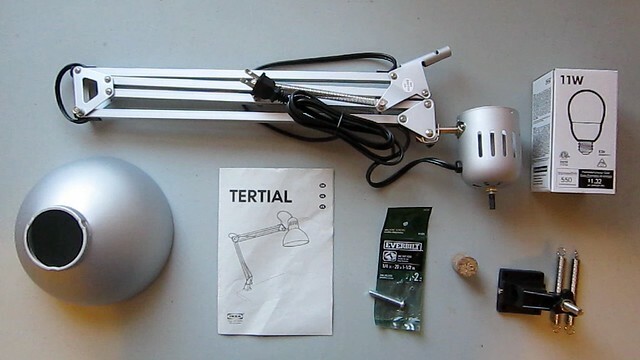 This can be great if you're trying to scan a document or shoot time-lapse or instructional videos. Plus it only costs $14. 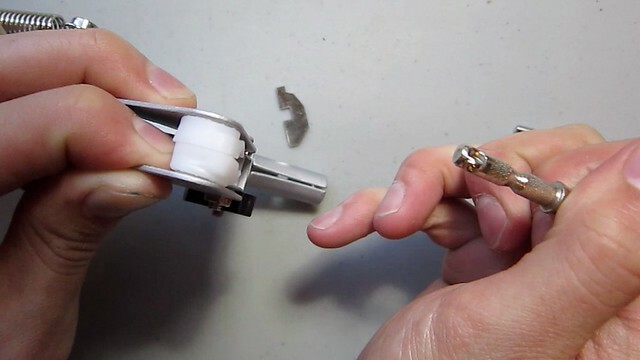 Unscrew the lamp head from the arm. Check that your lamp is not plugged into any wall sockets and cut the cord at the base of the head. 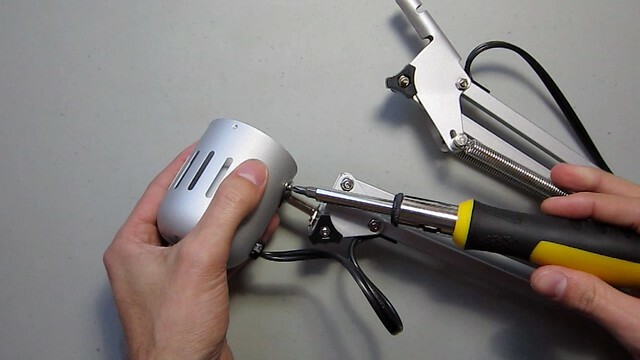 If you can find a way to remove the lamp without cutting the cord, more power to you. Unthread the cord from the arm. 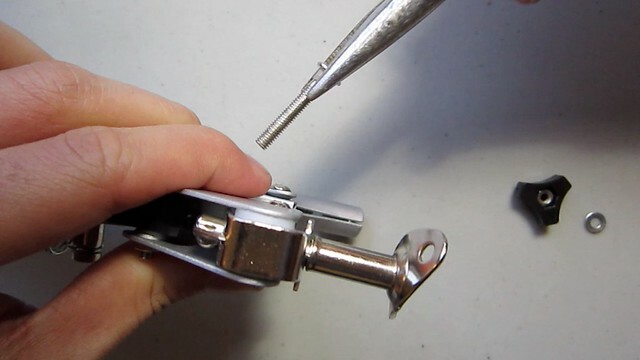 Loosen the joint at the head by removing the screw. 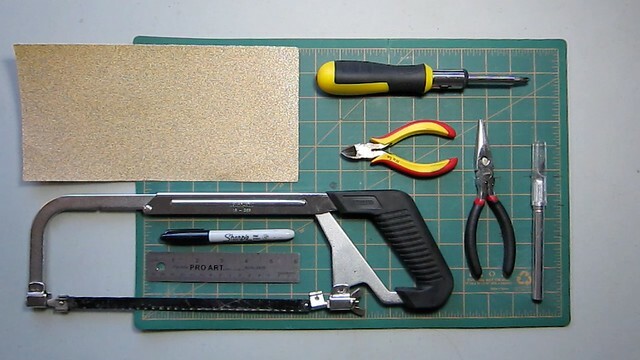 Use needle nose pliers to pull the metal cross sections away. 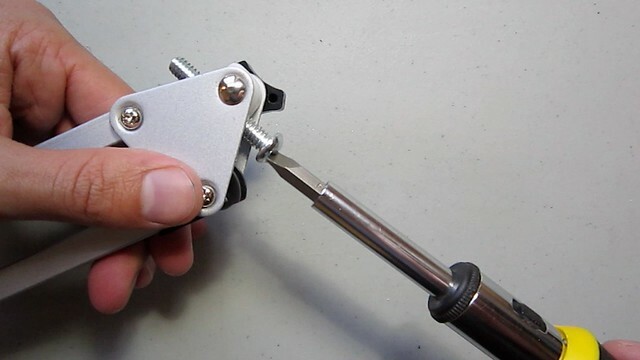 Now that the metal rod is free, pull it from the plastic socket. 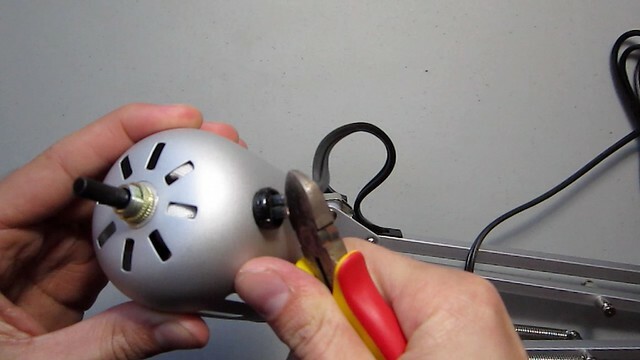 Screw the 1/4x20 screw into the hole of the plastic socket and return the first screw. 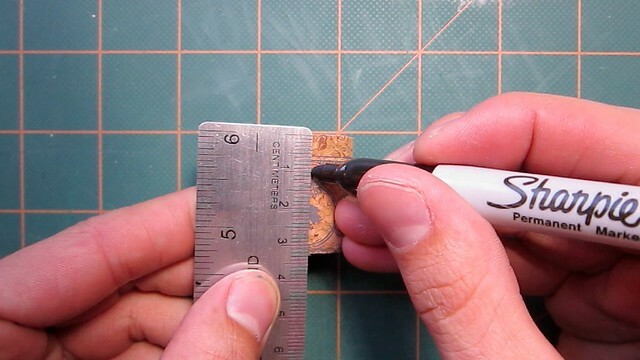 Measure 1cm of the cork and mark with the Sharpie. 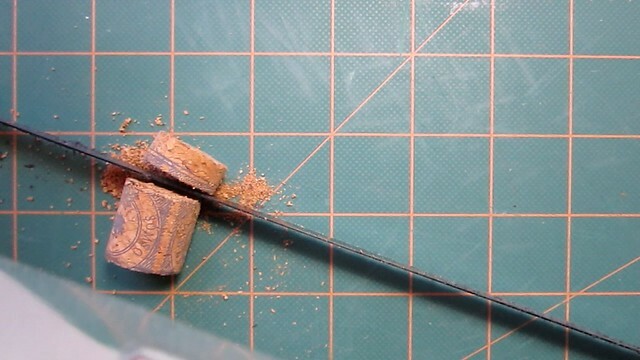 Use the hacksaw to cut the piece of cork. 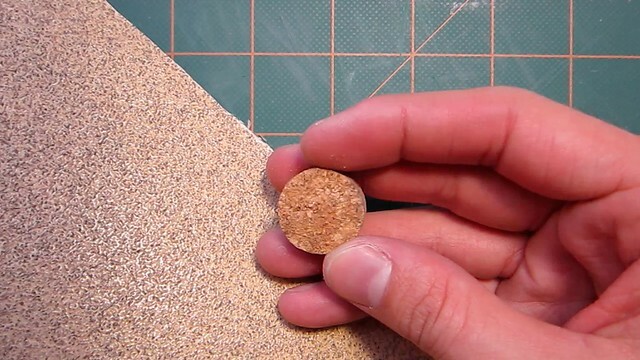 Smoothen the rough side on sand paper. 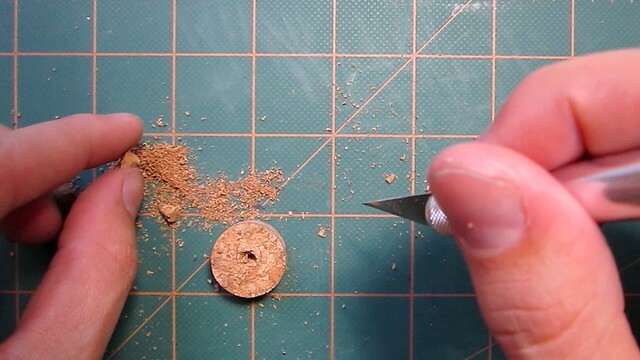 Cut a hole just large enough for the screw in the center of the cork. 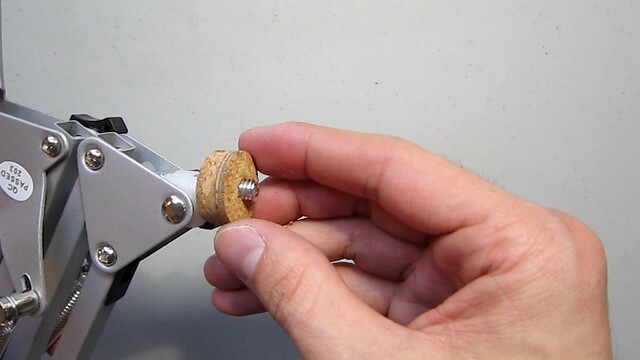 Thread the cork snugly onto the screw. 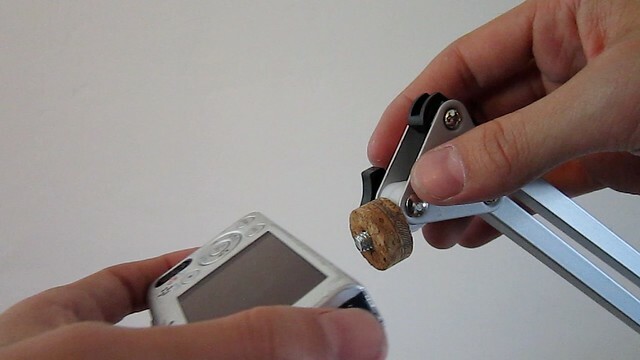 This will help protect your camera. 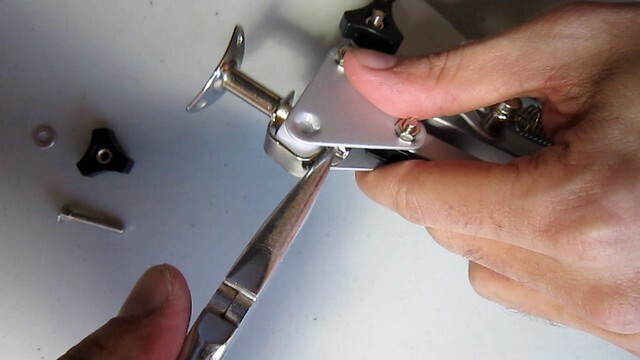 Add the springs to the arm and attach the arm to the base. 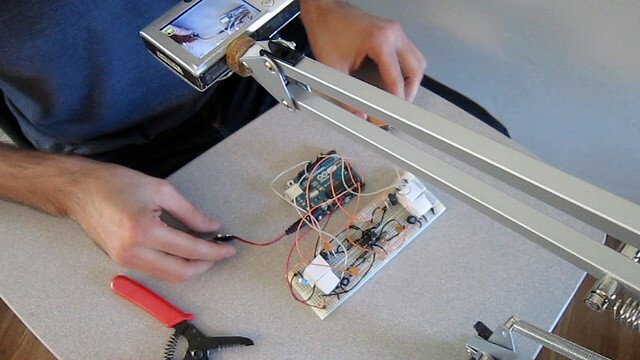 Thread a point and shoot camera onto your Articulating Arm Mount. Start shooting!